The Irish Planning Institute (IPI) launched its EU ‘Spatial Planning & Energy for Communities in all Landscapes’ (SPECIAL) pilot training programme in February 2015 and has began rolling out a series of workshops targeted at Planners and related professionals in Ireland. The remainder of this pilot series of events will take place between April and July 2015. The training programme has been developed in partnership with Irish SPECIAL ‘multiplier’ organisations: South Dublin County Council, City of Dublin Energy Management Agency (CODEMA), the Sustainable Energy Authority of Ireland (SEAI) and Electricity Supply Board (ESB) International. 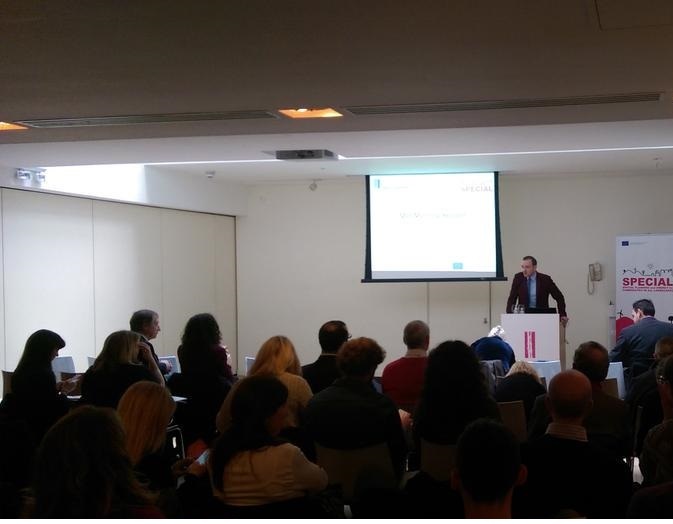 At the launch workshop on Thursday 12th February, the Irish Planning Institute introduced the EU SPECIAL Project, the aim of which is to up-skill Planners and related professionals in Ireland, on the integration of spatial planning and energy. Speaking at the launch event Brendan Allen, IPI Vice-President stated, ‘The planning system needs to continue creating sustainable communities to foster climate change resilience, reduce energy demand and costs, unlock low carbon and renewable energy production, whilst also safeguarding environmental considerations. The Institute values the opportunity to work with other town planning associations across Europe and learning from best practice in other countries’. At the launch event, there was also a number of presentations from other organisations involved in the project including, the Town & Country Planning Association (TCPA), SEAI and South Dublin County Council. On Tuesday 24th March, the Institute hosted Module 1: An Introduction to Planning & Role of the Planner. This module introduced Architects, Engineers and related energy stakeholders to the main functions of the Irish planning system and included an interactive exercise that explored the planning application system in more detail. The workshop included a group exercise exploring a planning application for a mixed use development with energy components. The exercise was facilitated by Dr. Hugh Ellis, Head of Policy at the Town & Country Planning Association. Over 30 delegates attended the workshop which included industry professionals from environmental and energy consultancies and agencies, local authorities, SEAI, Failte Ireland and Geological Survey Ireland. Discussion points included the role of planning in meeting our renewable energy targets and the role of public participation. The next SPECIAL workshop will take place on Thursday 30th April and will explore the evolution and implementation of the Building Regulations (Part L – Conservation of Fuel & Energy). Feedback from the broader IPI membership has indicated that Planners in Ireland could benefit from up-skilling in this area, with particular regard to construction projects and issues emerging from meeting the requirements of the Building Regulations on the ground.